Two people poking at a busy train station in the Dutch capital are US citizens, said the United States Ambassador to the Netherlands on Saturday. In a statement, Ambassador Pete Hoekstra said that the Americans had visited the country at that time. The attack occurred on Friday and the Embassy had contacted their families. He did not identify the two. "We wish them a speedy recovery and work closely with the city of Amsterdam to help them and their families," the statement said. 9-year-old Afghan, according to The Associated Press, his motives were unclear. The man was questioned late Friday in a hospital in which he was treated for bullet wounds while under guard, said Amsterdam City Hall in a statement. The people who were stabbed were also treated in a hospital; her injuries are serious, but not life-threatening, according to the city's statement. "The victims were not chosen deliberately or with a clear reason," the Amsterdam authorities said, according to The AP, "The investigations are ongoing and all scenarios remain open to the investigation team." The suspect has a German Residence permit, and the police were in contact with the German authorities to learn from his background, according to the city administration. 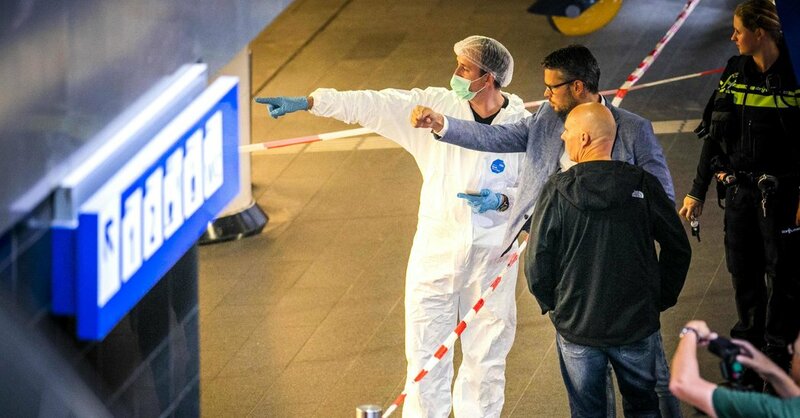 The stabbing occurred shortly after noon local time at the central station in the city center of Amsterdam, when a man joined a group of people. forensics experts spent hours combing through the scene, and the rail services were interrupted until the evening. Two platforms were temporarily closed to train traffic, said the A.P., but the station was not evacuated. The trams from and to the square in front of the station were stopped as police and emergency services concentrated on the area. Central Station is a busy entry and exit point for visitors to Amsterdam, with regular trains connecting it to Schiphol Airport. Friday is also one of the busiest days of the week for train travel as tourists arrive for the weekend.